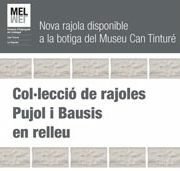 http://museus.esplugues.cat/wp-content/uploads/2019/01/Biennal-Premi-púbic-WEB.jpg 171 218 alpha http://s712081921.mialojamiento.es/wp-content/uploads/2018/05/Logo1.png alpha2019-01-14 13:39:572019-01-14 13:39:57The artwork Heavy Rain by the Yu Cheng Chung wins the Public Prize of the 19 ceramic Biennial of Esplugues. 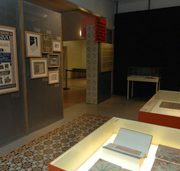 A piece of the Salvador Miquel Tile Collection moves to Barcelona to claim the role of the “Catalan tile” in architecture history. 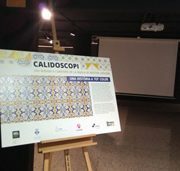 On Thursday, 15 June, the exhibition Kaleidoscope a look at the universe of Catalan tile opens at the headquarters of the Col·legi d’Aparelladors of Barcelona. That will be opened until 15 September. The exhibition is the result of the collaboration between the Col•legi d’Aparelladors of Barcelona, the Esplugues Ctiy Hall and the Museus d’Esplugues, sponsored by Mosaics Martí and Torra Barcelona. The Kaleidoscope project was born with the aim of enhancing the value of Catalan tile both from the constructive functional side and from its aesthetic and evolutionary side. The exhibition is a small tour through different areas, emphasizing in the first place the figure of Salvador Miquel. And proposes a look at the Catalan tile from different angles: history, materials, techniques, stylistic evolution or uses. Finalment, la mostra conclou amb un picada d’ullet a la producció industrial de rajoles durant el modernisme a través de la fàbrica Pujol i Bausis d’Esplugues, un referent en la producció ceràmica a Catalunya durant aquest període. The exhibition will able to be visited free of charge on the first floor of the headquarters of the Col•legi d’Aparelladors in Barcelona, on Buen Pastor street number 5, from Monday to Friday from 10 am to 6 pm. From this spring, 300 places in Catalonia can be visited virtually through the Google Trekker, including some points of interest of Esplugues as the mountain and antiaircraft batteries of Sant Pere Màrtir, the route of the historic downtown and the La Rajoleta. 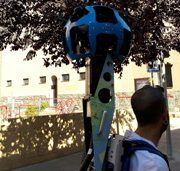 This is possible thanks to the project “Google Trekker Catalonia”, as a result of an agreement between Google and the Generalitat de Catalunya, which has involved the City of Esplugues through the Diputacio de Barcelona and the Consorci de Turisme del Baix Llobregat. Last July, we recorded various places in the city with Google Trekker technique, which enables to get images 360º. These images are available through the Google Street View application that can consular via computer, mobile or tablet. The Google Street View technology provides access to a location from Google Maps, see panoramic view of 360 degrees and cross it. If you also have 3D glasses that can be adjusted to your smtarphone you can enjoy a virtual visit to all these facilities. The project’s dual objective of enhancing the attraction of Catalonia and remain a reference in the field of the use of information and communications technology (ICT) arises. On Wednesday February 10th Marta Saliné and Jordi Griset showed the difference and similitude between hydraulic and ceramic mosaic. 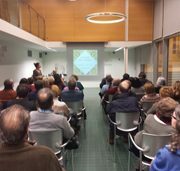 During the first part of the session Jordi Griset presented the second edition of his book The Art of hydraulic mosaic in Catalonia which is today considered one of the most outstanding books about hydraulic tiles in Catalonia. He explained that the publication of this volume was a long journey that began 20 years ago when he picked up the first hydraulic tile guided exclusively by its beauty. 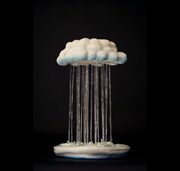 Marta Saliné invited us to look beyond the beauty in the ceramic mosaics of modernism, looking for connections between the pieces and their functionality or the environment in which they are located. During the last part of the session ,entitled Mosaics vs Mosaics, they presented the dialogue between the ceramic and hydraulics. Marta Saliné and Jordi Griset reviewed a number of examples where you could see how the most popular and spectacular models of hydraulic pavements still coexist with different modelsof wainscoting produced in the and Bausis Pujol Factory. This conference is part of the special program of the exhibition Catifes Ciment, el món de la rajola hidràulica, that you can visit for free on Can Tinturé until April 3.
http://museus.esplugues.cat/wp-content/uploads/2018/04/2MosaicCeramic.jpg 171 218 alpha http://s712081921.mialojamiento.es/wp-content/uploads/2018/05/Logo1.png alpha2018-04-19 10:03:292018-04-19 10:03:29Mosaic and ceramic. The color in modernist architecture. On Thursday 28 January, the opening of the new temporary exhibition Catifes Ciment took place at Can Tinturé Museum. The traveling exhibition organized by the Diputació de Barcelona and Sitges Museus reaches Esplugues where it will be opened until the 3rd of April. As José González Cambray said that exhibition will stop at the Museum of Can Tinturé it was a necessity, due to the suitability of the space and the original hydraulic tiles that are still preserved in the halls. Mr. Escofet, member of one of the most important factories of hydraulic tiles and Jordi Griset, collector and owner of most of the exhibits, attended at the ceremony. The exhibition occupies part of the two floors of the Museum Can Tinturé and so the permanent exhibition has been changed. And Sunday guided tours will be replaced for a guided tour of the temporary exhibition during the Catifes de Ciment exhibition. 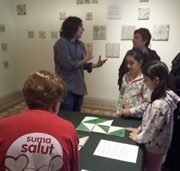 Catifes Ciment has collected a great success in his previous stops, and Museus d’Esplugues trust it continue, as demonstrated by the fact that during the first weekend of exhibition it have been visited by a hundred people. Museums of Esplugues de Llobregat incorporated into them policy the issue of universal access from an integrated perspective, in order to ensure the physical and sensory access to their collections to all audiences. The proposal has received the support and advice of ACIC, Catalan Association for the Integration of the Blind, and the collaboration of the Municipal School of Ceramics who developed of some tactile materials. The aim is to offer an inclusive activity, through the senses and participation, bring the contents of the collection in an active way. Participants can discover the charms of the Museum Can Tinturé through manipulation of original pieces, music, smell and taste. 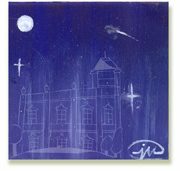 This activity becomes part of the offer of museums and can be made upon reservation.